Can I fund a Roth IRA and contribute to my employer’s retirement plan? Yes, you can contribute to both a Roth IRA and an employer-sponsored retirement plan such as a 401(k), SEP or SIMPLE IRA. However, each type of retirement account has annual contribution limits. For a Roth IRA, the maximum annual contribution for 2016 is $5,500 (or $6,500 if you’re 50 or older) or, if you earned less than that, the limit is your total taxable compensation for the year. You can contribute to a Roth at any age, even past retirement age, as long as you’re still earning taxable income. A working spouse can also contribute to a Roth IRA on behalf of a nonworking spouse. For a 401(k), the 2016 contribution limit is $18,000, unless you’re 50 or older, in which case the limit is $24,000. 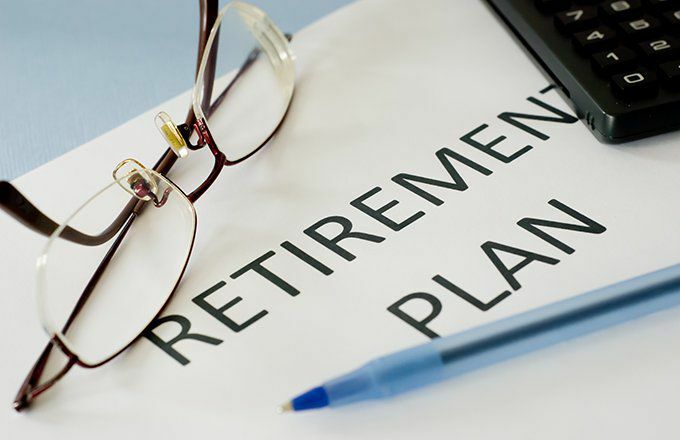 Contributing to both a Roth IRA and an employer-sponsored retirement plan can make it possible to save as much in tax-advantaged retirement accounts as the law allows. The tax advantages of these accounts help your savings grow faster and larger than they would in a non-tax-advantaged account. The more you contribute to your retirement savings accounts each year, the earlier you’ll have the option to retire, as long as you invest those savings wisely. Also, since it’s impossible to know what tax bracket you’ll be in at various stages in your retirement or what the tax rates will be at that time, it’s not a bad idea to have some retirement savings that you’ve already paid taxes on, like the funds in a Roth IRA, and some that you haven’t, like the funds in a 401(k). Then you can strategize your distributions to minimize your tax liability. You can also contribute to a traditional IRA even if you participate in an employer-sponsored retirement plan, but in some cases not all of your traditional IRA contributions will be tax deductible. In addition, your combined total contributions to both a Roth and traditional IRA can’t exceed the annual limit of $5,500 in 2016 (or $6,500 if you’re 50 or older). Before contributing to a Roth, make sure you are contributing enough to your employer’s retirement plan to take full advantage of any matching contribution your employer offers. Also, if your modified adjusted gross income (MAGI) reaches a certain threshold ($117,000 for single taxpayers and $183,000 for married filing jointly taxpayers in 2016), the maximum you can contribute to a Roth is reduced, and once your MAGI reaches $132,000 for singles and $194,000 for jointly filing spouses, you can’t contribute to a Roth that year at all. If you would like to fund an additional retirement account aside from your employers retirement plan you can check out our list of the best brokers for IRAs and best brokers for Roth IRAs to see some the best options for those account types.